If we’ll think about it, we’re all blessed with a priceless treasure that we often take for granted, the Bible. It offers an unchanging promise of God’s grace and eternal life that had been with us for ages and true enough it’s time for us to take one step closer to Him by reading and studying His mighty word. However, have you ever thought about diving deeper? 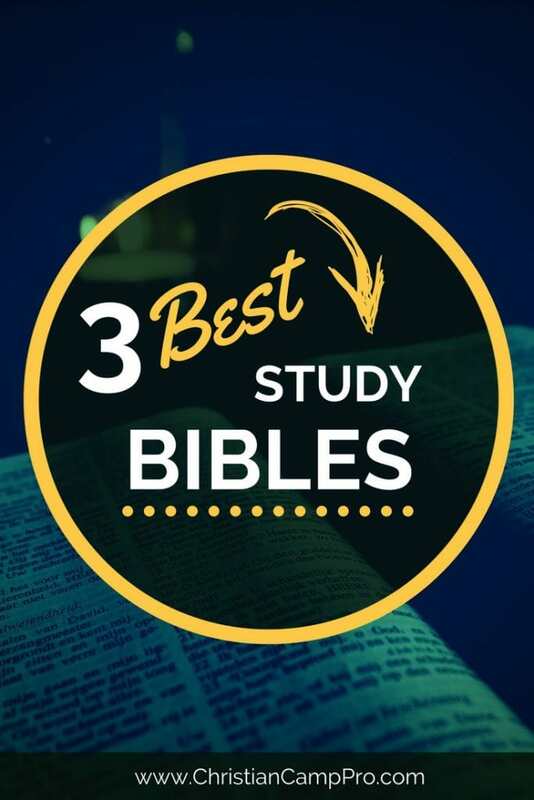 If so, consider this popular list of the three best study Bibles. “If any of you lacks wisdom, let him ask of God, who gives to all liberally and without reproach, and it will be given to him.” This is what the book of James is teaching us as disciples of God. By studying and through the word of God, we’ll slowly learn more about His will four our life. 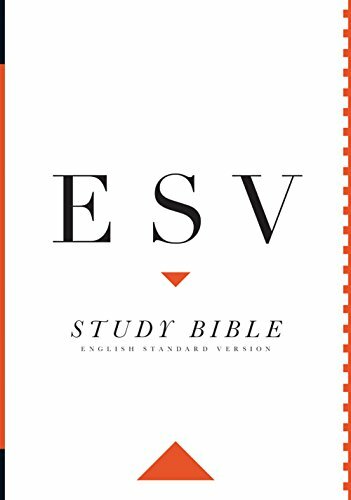 The ESV Study Bible is considered to be one of the best study bibles on the market and encourages you with your goal of being a disciple of God. It contains two kinds of words, first- the actual words of the Bible or the very word of God to us, second- is the study notes which was included by scholars and teachers from around the globe. The purpose of this study Bible is to give praise to the Lord for His excellence, beauty, accuracy and unending love for us which will then lead us to a deeper understanding of our God and Saviour. To do that, a team of 95 scholars and teachers created this powerful study Bible that will be definitely treasured for generations. Some call the ESV translation the most literal and accurate translation from the ancient scrolls. “I will instruct you and teach you in the way you should go; I will guide you with my eye.” A beautiful promise of God’s guidance from the book of Psalms is a good inspiration for us to further learn more about Him. With a team of over 60 contributors from wide evangelical denominations and perspective, the NIV Zondervan Study Bible was crafted meticulously for the individuals who are hungry for more. Personal notes and study tools were included to present a biblical theology of God’s revelation in the scriptures along with the full-color maps, charts, photos, and diagrams. This Bible was designed in a single column setting to provide maximum readability that comes in a very readable font size. 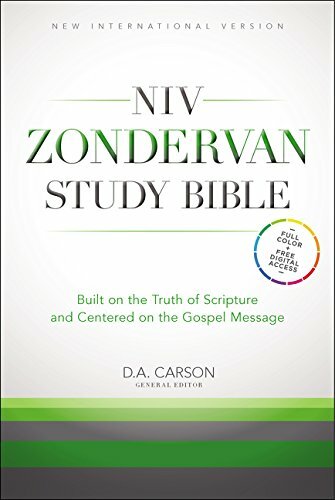 When searching for the best study Bibles, the NIV Zondervan Study Bible is arguably the most recognized and sought-after Bible on the market due to it’s easy to understand approach. “The Lord will guide you continually, and satisfy your soul in drought, and strengthen your bones; you shall be like a watered garden, and like a spring of water; whose waters do not fail.” Verses like this from Isaiah are proof that through His word, we will not go astray. 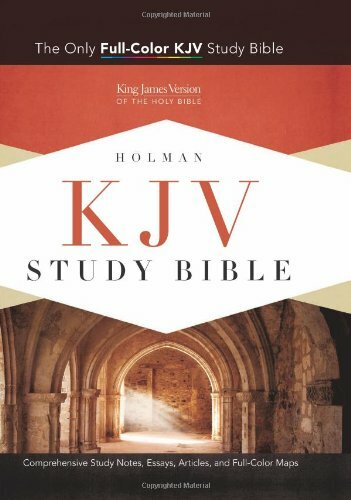 The KJV Study Bible comes with 15,000 study notes, 141 photos, 59 maps and more. With these inclusions, it ensures each of its readers about its effectiveness as a study tool. Reflections were practically placed on the same page spread as the related Biblical text to make it easier to read. This special edition KJV Study Bible offers one and three-year reading plans to match your schedule. Full-color page designs, extensive book introductions, commentary notes and essays on practical and theological issues makes this Bible extra special. The Bibles above are the best study Bibles you can buy. They will take you deeper than you’ve ever imagined into God’s Holy Word. When researching, try not to get caught up in translations too much. This is one of the most debated topics in Christianity. You may consider purchasing all three Bibles and deciding for yourself. Overall, the use of a good study Bible will help fuel your internal hunger of reaching out to knowing more about God. Only by then, the studying of the Bible will be very effective. Your desire to get closer to God will be the fuel you need to get you going deeper into a new and exciting journey. Do not forget to pray and ask for understanding before reading your study Bible to be able to live like Him and live for Him. But why do I have to study the Bible? You’ll study the Bible to know God better. Like in meeting someone new or making a new acquaintance, we start by approaching the person and talking to them. We’ll go through the same process with God, but with the help of the Bible. If we want to know Him better, then we should start by reading the Bible. Through the Bible, we’ll learn about God’s love, grace, discipline, and power. You’ll study the Bible to learn what’s right, correct wrong beliefs are, and receive proper guidance and most of all, to gain wisdom. With different kinds of upbringings, environments, and perspectives, people often develop skewed beliefs and principles. Through the scripture, we will understand even the most confusing topics. You’ll study the Bible to see and follow Jesus. It’s a good indication that by reading and studying the Bible you’ll reach that achievement of being a follower of Jesus. And by following Him, we will definitely have a blessed life and we’ll be able to bless others as well. Now that we have a brief understanding of why we should read and study the Bible, pick up one of these three best study Bibles that you can use as a tool in reaching your perfect relationship with God.